Recent reports have celebrated five Zimbabweans who have taken over 15 ha of land, part of a farm in Malmesbury near Cape Town in South Africa. The N7 farmers as they call themselves were allowed to use the land – initially 3 ha now expanding – by the farmer. This was initially for free so they could get established, although now they pay a rent of $80 per hectare. The land was not being used intensively – apparently it had a fodder crop, lupins, planted over winter – and the farmer was happy for others to have a go. Much to the surprise of many South Africans, and now praised by former President Thabo Mbeki, the Zimbabweans were able to transform the land into a vibrant horticultural enterprise, growing spinach, broccoli, cabbage, cauliflower, tomatoes and maize. The irrigation equipment on the land was put to work, and they applied manure to the land to improve the quality of the soil. The vegetables are sold at Cape Town’s Epping market. For many in the media, it was the background of the Zimbabweans that was surprising too. They are all in full time jobs, and are highly qualified. One has a PhD apparently in agriculture, others have degrees in physics, science, engineering and languages. They now have 6 employees, one a Zimbabwean, while others are South African and a Malawian farm manager. While there have been disputes about the details of the ‘good news’ story, and clearly a bit of a backlash from the South African farming community, the basic take-homes were clear. Zimbabweans – including highly qualified people – can farm, while South Africans had not taken the initiative to use this, or other similar, parcels of land in the same way. This was rubbed in with Mbeki’s commentary. He linked this to land reform, complaining about the South African land reform and restitution programmes where South Africans preferred to take money rather than invest in actively farming the land. By contrast, he suggested, Zimbabweans were committed to the land and could make good use of it, as he hinted many had done in Zimbabwe’s land reform programme. 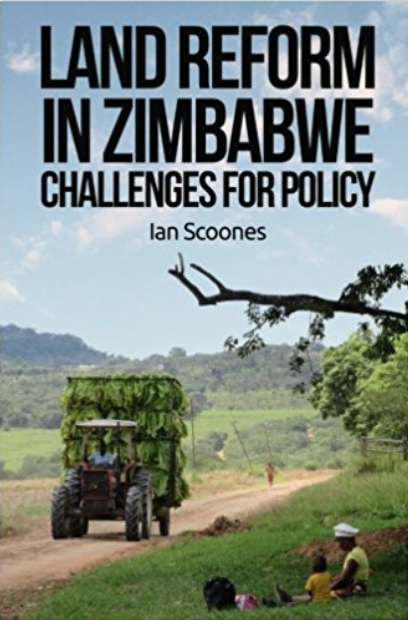 The contrasts between Zimbabwe and South Africa’s agricultural sector and land reform efforts have been widely commented upon. South Africa of course does not have the same type of agrarian economy as Zimbabwe, and many people have not had recent experiences of farming, even if living in rural areas. South Africa’s land reform has focused on attempting to emulate ‘commercial’ farming, with inappropriate visions of ‘viability’, often through cooperative group arrangements, and has often failed. Yet the Malmesbury experience may offer some insights for South African land policy. The opportunities for ‘smallholder’ production does exist, especially when linked to certain value chains, and expecting land reform only to emulate large-scale commercial farming just on a smaller scale is, as so many studies have shown, is bound to fail. But equally this is not simply a land to the people story – as the heightened rhetoric of the Economic Freedom Front and Julius Malema suggests – but an example of where small-scale agriculture can work under certain conditions. And these conditions are quite specific – the N7 farmers have the skills, the market connections and the infrastructure in place to make things work. South Africa’s land reform debate remains stuck between the government’s formal focus on planned redistribution using inappropriate commercial models and a naïve populist response of handing land out without thinking about how to embed it in a reformed agrarian economy. Malmesbury – and others places around the country from Limpopo to KZN – offer glimpses of what might be if the two false extremes were dropped in favour of something more realistic and appropriate. Maybe Zimbabwe’s lessons from land reform, and the N7 farmers, can indeed export some good ideas and practices to south of the Limpopo. 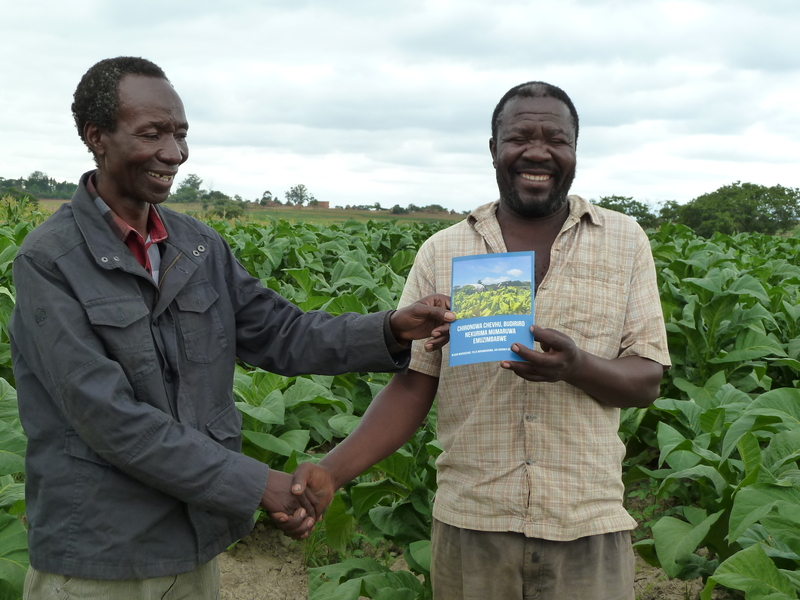 One of the many exciting things I did when visiting our field sites in Zimbabwe at the end of last year, was to help hand out a new set of booklets based on our ‘Space, Markets, Employment and Agricultural Development’ project (supported by DFID-ESRC), that has now concluded. The project looked at how changing patterns of agriculture is influencing markets (upstream and downstream) and employment. We looked at a series of commodities – tobacco, beef, horticulture and maize – in two sites – Mvurwi in Mazowe area and Masvingo district. This allowed for some important insights to emerge through both qualitative and quantitative work. We have produced a long report if you want all the detail, and some journal articles are in the works. But in our research we are also committed to making findings available to wider audiences. Our prize last year recognising ‘impact’ highlighted this approach. So we have produced some more popular outputs, including a series of much-viewed films (they are short – just 10 mins or less) that I have mentioned on the blog before. The films have been shared in showings in the study areas, and DVDs have been circulated to agricultural offices, training centres, schools and so on. And for those with good enough Internet connections they can be viewed online via youtube (there are hi and low res versions). At the end of last year we produced a booklet summarising the findings, and offering some case studies of how people have engaged with these changing markets, paid for in part by our prize money. The booklets are in Shona and English, and are available to download here (scroll down to get the new booklets – they’re blue, and uploaded in low res quality so they are feasible to download). They complement our earlier booklets that offered an overview of the findings presented in our 2010 book (these are the green ones!). These proved a massive hit in our study areas, and ‘reading circles’ were formed to share them across villages in Masvingo. As before we have produced a large print run of the colour booklets. 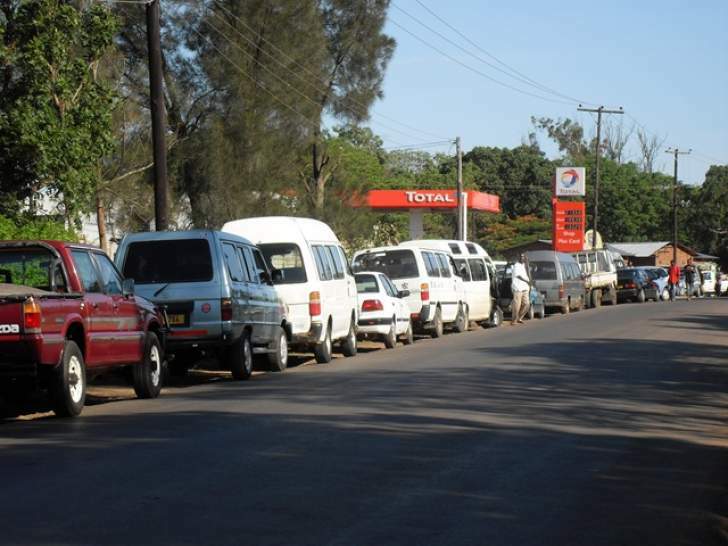 In November-December we distributed over 1500 to our field sites in Mvurwi, Masvingo, as well as Masvingo. These were handed out to the villagers we have worked with over the years, as well as officials in Agritex offices, local government, private sector businesses and others. Not only were people delighted to see themselves and friends and family in the photos, but they were appreciative of the effort to feedback and share results. There have been many conversations of our findings since. There is much talk about ‘impact’ these days in research circles. It’s become an obligation to demonstrate impact, uptake and so on, but these edicts are often followed rather reluctantly. In the last UK national research assessment exercise, university researchers had to produce ‘impact case studies’. Many were excellent, but there were a few where it was clear that researcher were scraping at the bottom of a rather empty barrel. Much of the research impact business is also rather mechanical. There are endless guidelines, tedious workshops, toolkits and yes inevitably consultants to help you with the process. And so often ‘impact’ efforts are added on after the event, with the funding body deciding (after being critiqued) that they need to ‘do impact work’ on research that has already been done, and with a group of people who are not really ready to do it. But in my view with ‘engaged’ research (another buzzword), it’s an ethical obligation to feedback, link with research users and find ways that your research has resonance – and from the very beginning of all research efforts. Impact may not be immediate, and may require years and years of engaging before a moment arises when the research becomes relevant and useful. It may also be highly unexpected, with engagements from unusual sources. This is the problem with the approach to ‘compulsory’ impact, as people are forced to demonstrate impact and uptake in rather inane ways, when actually it wasn’t appropriate. I am in the lucky position of working with an amazing group of people in Zimbabwe and over a long period of time. This is how we can have impact, but it is slow, patient and cumulative, and requires multiple strategies. These booklets are our latest effort: do read them! What happened to farm workers following Zimbabwe’s land reform? Previous blogs have discussed the fate of workers who had worked on the large-scale commercial farms that were distributed during land reform, both in relation to the total numbers affected, and the new livelihood strategies that have been pursued. The role of labour in the new farm structure is a crucial and under-studied issue, as it is more generally in agrarian and livelihood studies. However we now have some data from our own fieldwork that sheds light on these issues. Over the last few years we have been working in the Mvurwi area of Mazowe district as part of the Space, Markets, Employment and Agricultural Development project. We have carried out similar surveys to those that we had done before in Masvingo (and now more recently in Matobo) to find out how similar and different these sites are, and how the experience of land reform has affected different people in different places. In Mvurwi we have been looking at what has happened on a series of A1 farms (involving a sample of 220 households), as well as a few case studies of A2 farms nearby. We have also been investigating what happened to farm workers who have either got land as part of A1 settlements or are still living in the farm worker compounds. Across the three farms where our A1 sample is located, there are four farm worker compounds, with around 370 farm worker families currently living in them – half are original workers from those farms, the rest were displaced from about 25 other farms (notably A2 farms), from Mazowe district and beyond, where new owners have expelled former workers, as they have restructured their operations. Former farm workers are not a uniform category of course. There are some who managed to get land under the fast-track process and since, and are part of our A1 sample. Of this sample 10% were former farm workers, from the farms concerned or from further afield, as many had to move. Others were compound dwellers with small plots where they were growing food, and indeed tobacco, and they were engaged in regular work, being employed by A1 or A2 farmers. Others had carved out new livelihoods, sometimes combining piece work on farms, with other activities such as building, carpentry or fishing (see below). However others have no jobs or other forms of livelihood, and are struggling. Some have gone to communal areas and have reinsterted themselves into social networks there, but many do not have access to these, being ‘foreigners’ originally from Malawi, Mozambique or Zambia for example, and with no rural home, despite having lived in Zimbabwe for generations. It is a diverse experience, and one that deserves more research scrutiny. Among our sample of A1 farms, on average each household employed 0.8 permanent workers and 4.2 temporary workers, both men and women. Many of the permanent workers are drawn from where the household previously came from, often nearby communal areas, bringing in relatives and others. However, new A1 farmers growing tobacco have also hired in permanent workers from the compounds. These are often the skilled farm managers and others who can help with their new tobacco businesses. Others say they prefer to hire from the compounds as the labour is skilled and disciplined, and they are happy to avoid being tied to relatives. Permanent workers include both men and women, and the same applies to temporary workers. These are nearly all drawn from the compound, and are hired for particular production tasks. Wages are low especially for temporary work, and workers are not organised or unionised, and so have little bargaining power. Not all compound households can find work for all the time, and so must develop more diversified livelihoods. Land reform was 15 years ago, and a whole new generation has grown up in the compounds since. This group of youth have not learned the skills of their parents in tobacco growing, and so are not hired so often. They must seek out other income earning activities to survive. The table below offers some average household social profiles and backgrounds of A1, A2 and farm worker households. The A1 households are split up into ‘success groups’ (more or less successful according to local informants), while the others are lumped together. Table: Profiles of A1 (Success Group 1-3), A2 and Farmworker households in terms of characteristics of household head/land, crop outputs, income sources; assets and their accumulation. Comparing farm worker households to others, we can see that across variables, farm worker households are badly off. They have very small plots of land (average 0.6ha), all of which is cultivated. They do this intensively although in 2014 only realising 400kg of maize on average, and 250kg of tobacco. Maize is all consumed, while tobacco offers some additional income. This is complemented by a range of other sources of income. Local piece work (including the temporary farm labour discussed above), building/thatching/carpentry and vegetable sales (for women) dominate. Fishing is also important in one of the farm dams for some. Compared to the other sample groups, asset ownership is very limited, although a few have livestock, and some are buying new animals. By contrast to the more successful A1 farmers, the possibilities of accumulation are limited, although farm worker households have bought bicycles, cell phones, solar panels and water pumps. There is little doubt that former farm workers are extremely poor and often have precarious livelihoods. However, in the absence of alternatives, they are surviving, often through a combination of intensive agriculture on garden sized plots and other work. The compounds across what was the large-scale commercial farming areas of the Highveld are home to many thousands of people. The long-term future of this population remains uncertain, but for now their labour and skill is an important element of the success of some of the new resettlement farmers, and some are managing to find ways of getting their own plots. Next week, I will share a few case studies of former farm workers from this area to show how different people are making a living. There are many challenges ahead. This blog has often focused on practical and policy challenges associated with agricultural production. These include for the need for a reliable supply of affordable fertilisers; the need for enhanced extension and service support, including through mobile phones and the Internet; the need for investment in water management and irrigation facilities; and the requirements of tenure security to encourage investment. Finance and credit is extremely limited, and constrains on and off-farm business development. Bank loans are concentrated on contracting companies, and so a limited suite of crops and activities. Access to finance for others is constrained by major problems of liquidity in the banking and finance sector. There is need for low interest finance for farm and non-farm business activities. Rules and regulations have to be in place to protect financiers and borrowers.